The 'long nineteenth century' (1776-1914) was a period of political, economic, military and cultural revolutions that re-forged both domestic and international societies. Neither existing international histories nor international relations texts sufficiently register the scale and impact of this 'global transformation', yet it is the consequences of these multiple revolutions that provide the material and ideational foundations of modern international relations. Global modernity reconstituted the mode of power that underpinned international order and opened a power gap between those who harnessed the revolutions of modernity and those who were denied access to them. This gap dominated international relations for two centuries and is only now being closed. 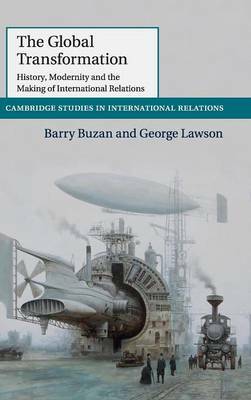 By taking the global transformation as the starting point for international relations, this book repositions the roots of the discipline and establishes a new way of both understanding and teaching the relationship between world history and international relations.